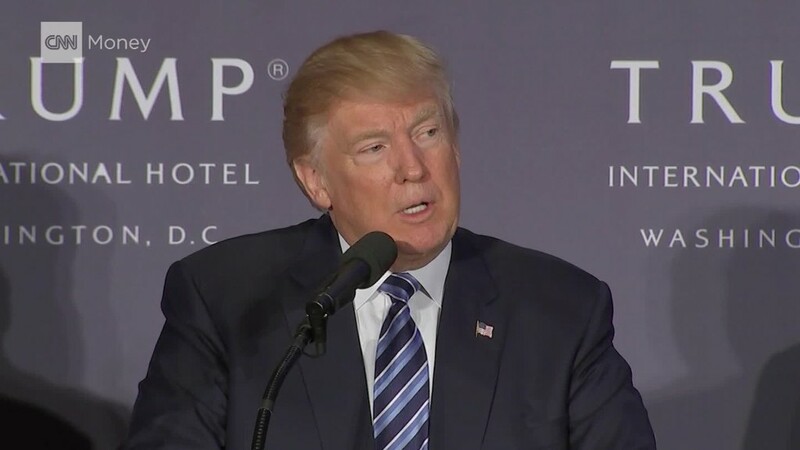 Donald Trump is poised to be both landlord and tenant of his new Washington hotel, which he leases from a federal agency that he will oversee when he becomes president. And he could be in violation of the lease the moment he takes the oath of office. A little-noticed clause in the document, which Trump signed with the General Services Administration before he ran for president, says that no "elected official of the Government ... shall be admitted to any share or part of this Lease, or to any benefit that may arise therefrom." To Steven Schooner, a professor who studies government procurement law at George Washington University, the clause is clear, and the hotel presents an unacceptable conflict of interest for the incoming president. "The lease says he can't benefit from it," Schooner said. Democrats on the House Government Oversight Committee sent a letter Wednesday to the GSA administrator, Denise Turner Roth, asking how the agency plans to handle the conflict and the imminent breach of the lease. The GSA declined to comment for this story. In a statement last month, the agency pledged to work with Trump's team to "address any issues" related to the hotel. Trump leased the Old Post Office, blocks from the White House, from the government in 2013 and committed to a minimum base rent of $3 million a year, according to a General Services Administration report. It opened this September as the Trump International, a five-star property and the latest addition to the Trump hotel brand. The lease is for 60 years. Schooner has argued the case against Trump's ownership of the hotel in recent weeks. He said the fix has to come from the GSA, and he said one option is for the agency to terminate the contract because of the breach. "It should not be difficult for GSA to figure out that they have a number of obvious solutions," he said. Schooner said the Trump Organization could sue the GSA should the agency end the contract, but he said the government would have a strong legal case in court. Nobody forced Trump to run for president two years after he signed the lease. Even if the GSA were to lose, the monetary damages would probably be small, Schooner said, and the Trump Organization would not regain control of the hotel. If the Trump family thought they had a case to negotiate a lower rent or brought some other legal dispute, the GSA would represent the government. The head of that agency is one Trump will have the power to fire. The Trump Organization did not respond to a request for comment about the hotel lease. Contracts and ethics experts have warned that the arrangement between Trump's business and the hotel is already leading to problems. The Washington Post, for example, has reported that diplomats are booking events at the Trump International to curry favor with the president-elect. Trump, in a series of tweets Wednesday, promised to step away from the operations of his business to focus on running the country. He has previously said he will transfer control to his adult children, which would not eliminate a conflict of interest. Trump has not suggested he will sell anything. The GSA said in its statement last month that another federal agency, the Office of Government Ethics, "provides guidance to the executive branch on questions of ethics and conflicts of interest." That answer is not good enough for authorities like Schooner, who said the agency should have planned for this. "I don't really understand what they're doing right now," Schooner said. "GSA got themselves into this mess. They have to get themselves out of it."